1. 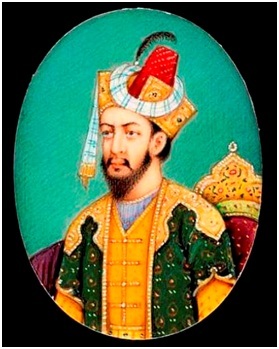 Humayun died in 1556, and his widow Hamida Banu Begam,(also known as Haji Begam), commenced the construction of his tomb in 1569, fourteen years after his death. 2. It is the first distinct example of proper Mughal style, which was inspired by Persian architecture. 3. The construction cost of tomb was 15 lakh rupees (1.5 million). 4. The chief architect of the tomb was Mirak Mirza Ghiyath (a Persian). 5. The tomb proper stands in the centre of a square garden, divided into four main parterres by causeways (charbagh), in the centre of which ran shallow water-channels. 6. The square red sandstone double-storeyed structure of the mausoleum with chamfered corners rises from a 7-m. high square terrace, raised over a series of cells, which are accessible through, arches on each side. 7. Bahadur Shah Zafar had taken refuge in this tomb with three princes during the first war of Independence (AD 1857). 8. It was constructed out of red sandstone. 9. This Tomb was the first ever garden style tomb to be constructed in India. 10. This Tomb served as an early example for other Mughal tombs which were built over time, such as the Akbar’s tomb in Sikander, the tomb of Ghiyas-ud-Din Tugluq at Tugluqabad, the tomb of Sikander Lodi in the Lodi Gardens and the Taj Mahal. 11. Apart from Humayun, the tomb is also the final resting place of his wife Hamida Bahu Begum, Shah Jahan’s son Dara Shikoh and other prominent Mughals from the royal family. 12. It is tagged as world heritage site by the UNESCO in 1993. 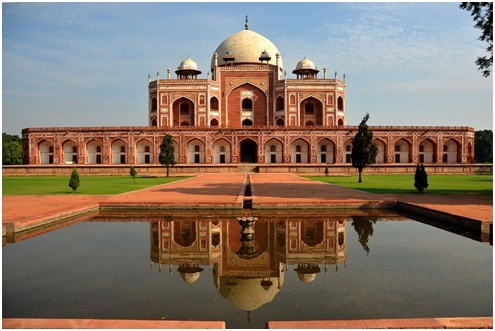 Read more:When was the Humayun's Tomb built , Humayun's Tomb facts , Humayun's Tomb history , where is Humayun's Tomb , information about Humayun's Tomb for kids.